We have another vehicle review for you with this episode of the RC Newb Podcast. After spending some quality time with one of Carisma’s smaller-scale vehicles, the GT24T, I wanted to share my thoughts on this tiny truck. If you’re a fan of durable, fast, and fun radio-controlled machines, this 1/24-scale model from Carisma might be worth looking at. With the holiday season fast-approaching, it might be the perfect stocking stuffer or self-gift for you or another R/C enthusiast on your shopping list. 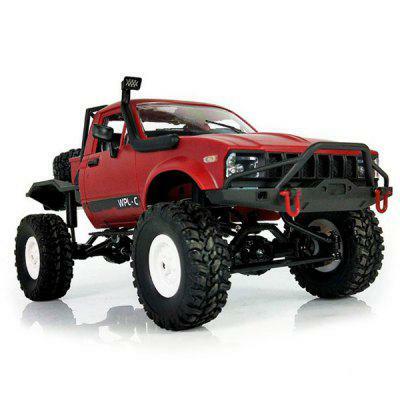 ARRMA rolled out two new 1/8 -scale vehicles that are aimed at the basher/fun-seeker. The Fazon 6S BLX is a Traxxas E-Revo-esque monster truck that’s both fast and durable, featuring a BLX brushless motor and 6S LiPo capability. The Outcast 6S is a brushless-powered beast that’s built to fly, spin, and slam its way through obstacles. Billed as a stunt truck, this monster truck can handle a 6S LiPo battery, leaving you with no shortage of power. To find out what other folks think of these new models, check out the coverage that BigSquidRC and The RC Network have done. Tekno RC is getting into the monster truck game with their own entry, the MT410. This is a premium, performance-focused model that features an aluminum chassis and many aluminum components. Team Losi Racing announced their 22SCT 3.0, which includes a number of updates and now-standard features from their previous 2.0 model. Read the full review of the Carisma GT24T 1/24-scale monster truck at smallscalerc.com. Get the latest deals on your next radio-controlled kit, ready-to-run vehicle, or accessories this holiday season. Check out rcnewb.com/black-friday for the latest savings discounts. Don’t forget, as a listener of the RC Newb Podcast, you can save 10% on your next order at prolineracing.com with coupon code RCNEWBAP10.